Extract the zip file to the themes directory i.e. "~/.themes/" or "/usr/share/themes/" or use Gnome Tweak Tool to install. 1. First backup your Gnome Shell theme directory i.e. "/usr/share/gnome-shell/theme/". 3. Copy it to "/usr/share/gnome-shell/". 4. Restart GNOME Shell by pressing "Alt+F2", then type 'r' and press Enter. 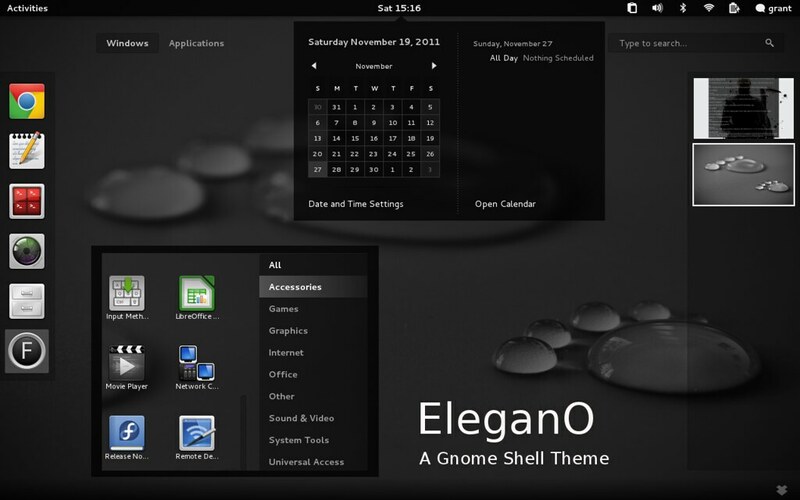 Please note that this theme is for Gnome 3.2 only.